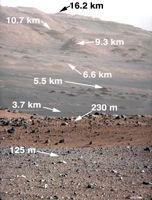 The 100-millimeter Mastcam has three times better resolution than Curiosity's 34-millimeter Mastcam, though it has a narrower field of view. For comparison, see PIA16103. Scientists enhanced the color in one version to show the Martian scene under the lighting conditions we have on Earth, which helps in analyzing the terrain. A raw version is also available. 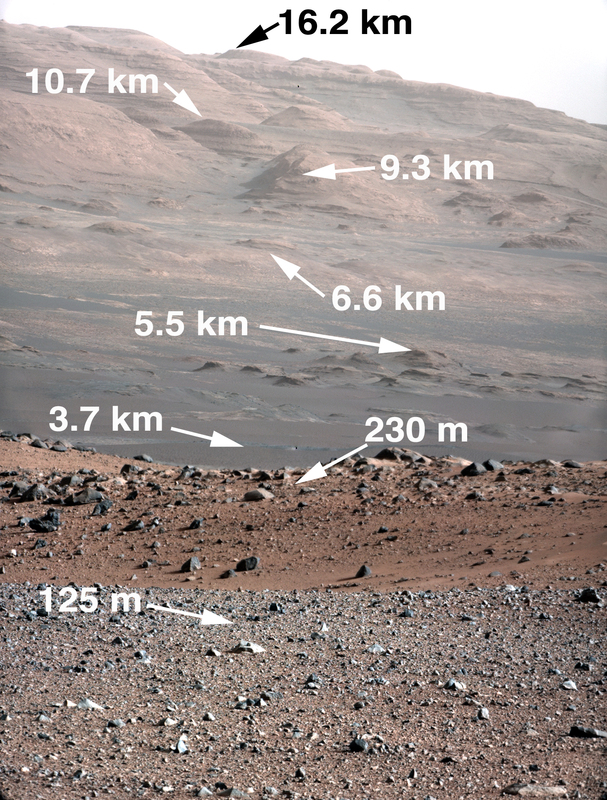 An annotated version of the image indicates the distances to different features. They were calculated using a computer program that analyzes data from the High Resolution Imaging Science Experiment (HiRISE) camera aboard NASA's Mars Reconnaissance Orbiter. 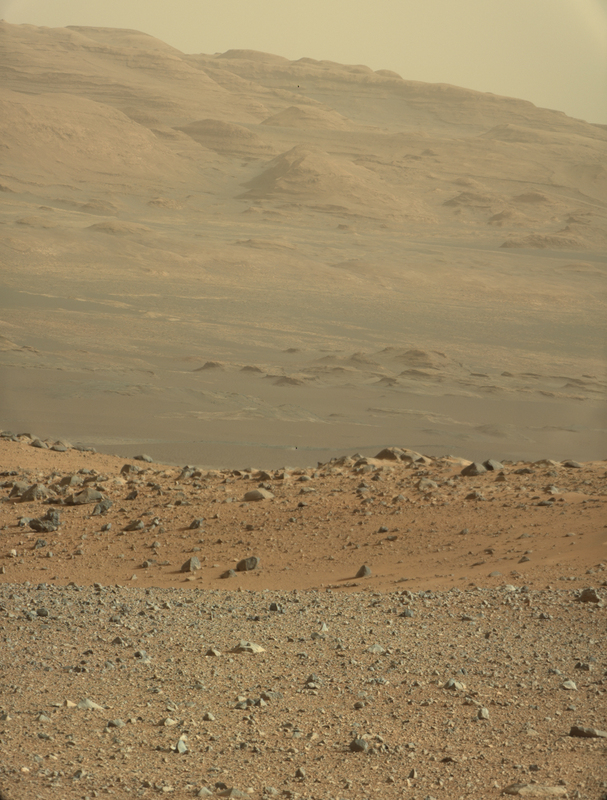 To see a close-up of the layered buttes of Mount Sharp, see PIA16105. 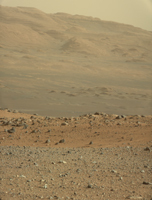 For more about NASA's Curiosity mission, visit: http://www.jpl.nasa.gov/msl, http://www.nasa.gov/mars, and http://marsprogram.jpl.nasa.gov/msl.